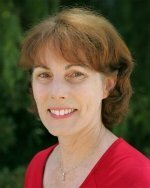 Maura Martindale joins the School of Education as Director of the Deaf and Hard of Hearing Program. Her specialization is in teaching spoken language to children with hearing loss and parent education. Dr. Martindale taught general education students in public schools in Connecticut before teaching and leading programs at John Tracy Clinic for Deaf and Hard of Hearing Children and in the USC graduate program. Graduate School of Education Award for Outstanding Achievement - Teaching” August, 2014 ($500).